× two = 10 Required Please enter the correct value. ETF investing is so popular because of its ease and safety – but you might feel like the amount of choices in exchange-traded funds can be overwhelming. But there's nothing to be overwhelmed about with ETFs. ETFs are like mutual funds that trade like stocks. Unlike mutual funds that are priced once per day after the markets close, ETFs can be traded on the major exchanges intra-day – or anytime during the trading day. The prices fluctuate just like stocks. ETFs are also popular because of their low turnover, meaning they're not often replaced as fiscal assets during a set time period. And they're great when an investor is looking to diversify her portfolio. 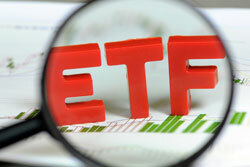 Plus, there are multiple ETFs to choose from on every major index. Because there are so many ETFs on the market, selecting a specialization can seem difficult. But we've done the research for you. Money Morning's Defense and Tech Specialist Michael Robinson knows that investment bankers absolutely love to boast about successful initial public offerings (IPOs). He's also well aware that most IPO shares are divided into mutual funds, hedge funds, high-net-worth investors, and insurance companies, which makes it particularly difficult for the average investor to get a leg up in the IPO market. This IPO ETF can be used to sidestep Wall Street completely. It offers a good combination of tech stocks, as well as a decent entry into the broader market. "That makes it a great 'twofer' in which 40% of the top 20 holdings relate to tech or the life sciences," says Robinson. This ETF consists of 100 diverse stocks, with access to various sectors, including financial, metals, heavy industry, energy, auto, and retail. Now trading at just under $54, FPX is priced cheaper than many of its portfolio holdings, including Facebook Inc. (Nasdaq: FB) and Alibaba Group Holding Ltd (NYSE: BABA), which is what makes it the most cost-effective way for the average investors to cash in on the IPO boom.